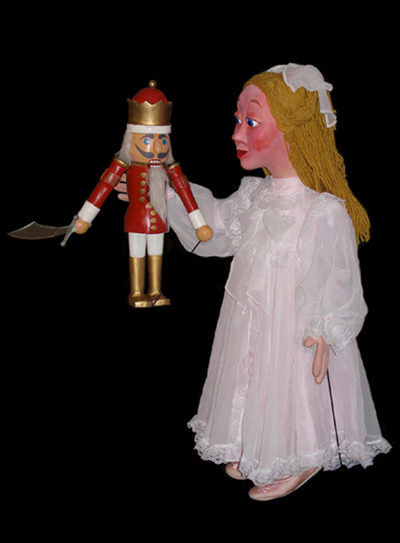 Tchaikovsky's "The Nutcracker Suite" is an exciting way to introduce children to this classic story, classical music and puppetry. The world-famous ballet is performed often, but very rarely using puppets and the unique black theatre technique, developed by Czech puppeteers in 1960s. This complex and stunning style of presentation allows complete freedom of movement for the almost-life-size puppets who interact on stage with a real-life narrator, Dr. Drosselmeyer. Puppets move effortlessly, without visible means of support, because the puppeteers standing directly behind them, cannot be seen.